The end of Summer is near, it is time to prepare miniatures and tutorials for Falltime and Halloween but my head is still full of light and delicate colors. 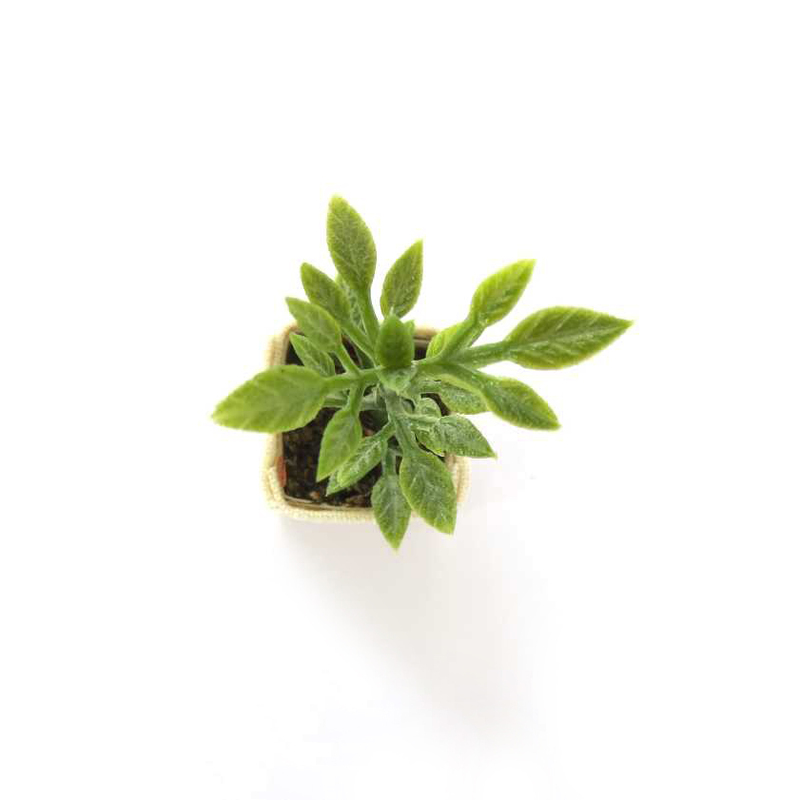 Some weeks ago I've found in a shop a beautiful branch of faux tea leaves, very realistic, so I've decided to use them for miniatures. 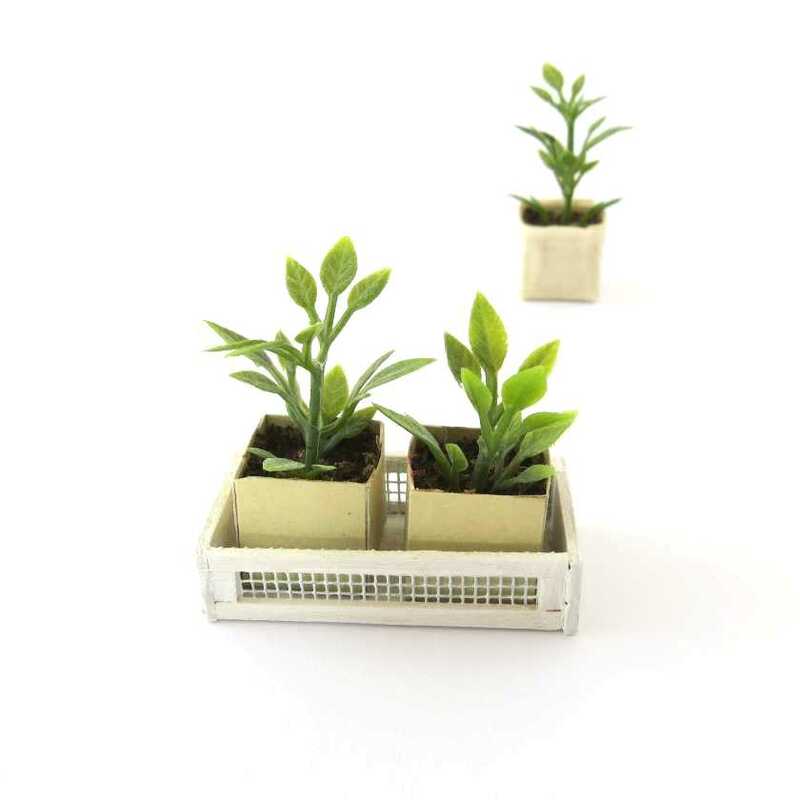 These are the first ones, a plant with a natural cotton vase and a white crate with two plants inside. 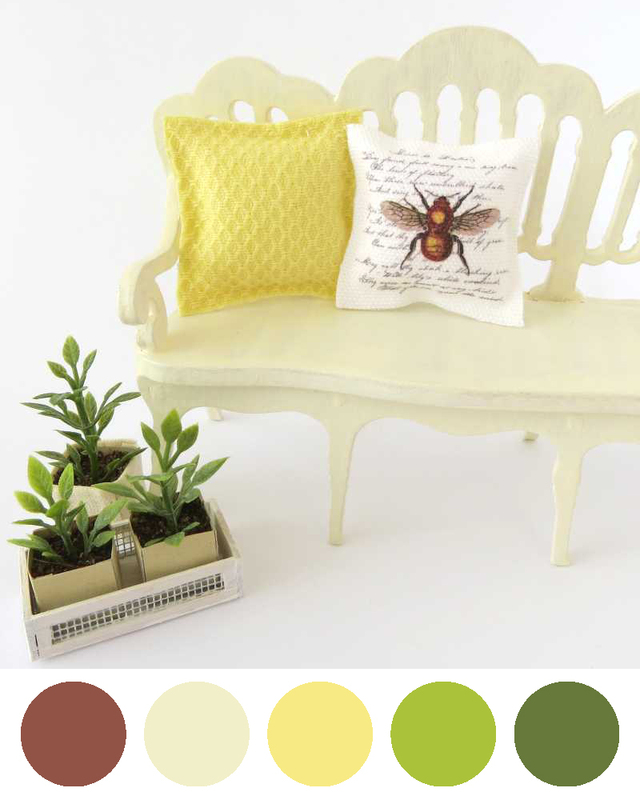 I think they will be great in a dollhouse in modern or cottage chic style, combined with furniture in natural colors. 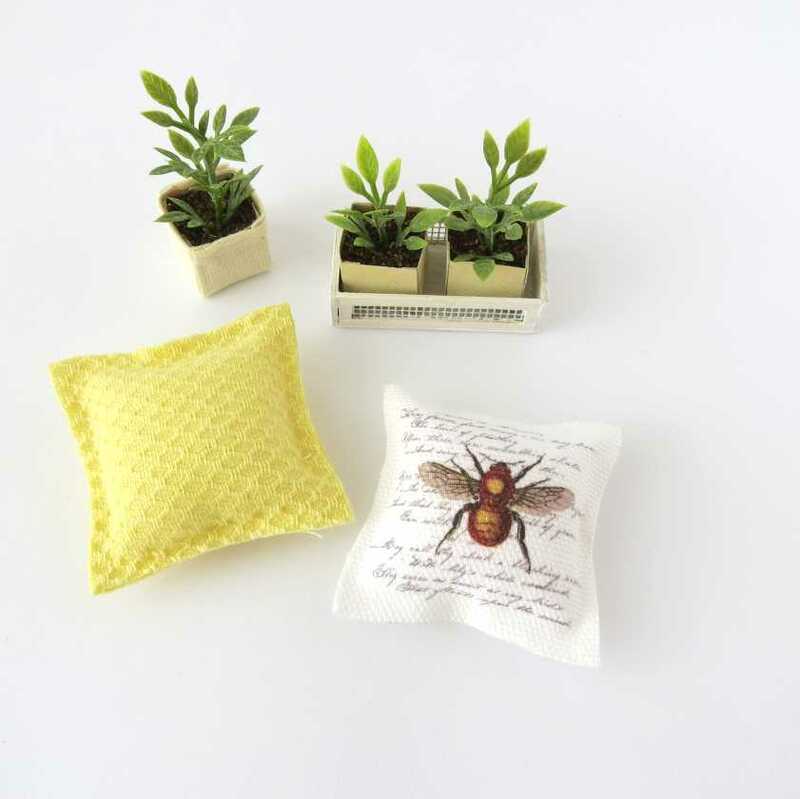 In these pictures you can see the plants combined with two bee subject pillows, one of them with a beehive texture and the other one with a lovely vintage bee printed on white cotton.